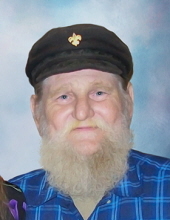 Funeral services for Frank James Hamby will be held at 11:00 a.m. on Tuesday, March 19, 2019, at The Church of Jesus Christ of Latterday Saints. Burial with military honors will follow in the Central Louisiana Veterans Cemetery under the direction of Jeane’s Funeral Service. A visitation time for Mr. Hamby’s family and friends will be held from 4:00 p.m. to 8:00 p.m. on Monday, March 18th at The Church of Jesus Christ of Latterday Saints. Mr. Hamby was born on February 17, 1948, and passed away on March 13, 2019, at the age of 71. He was a native of Ohio and worked as a welder and truck driver. During the Vietnam Era, Mr. Hamby served in the U.S. Army in Germany. In 1966, he met the love of his life, Patricia, and they were married in 1967. Mr. Hamby was a member of The Church of Jesus Christ of Latterday Saints and had been a resident of Leesville since 1975. He enjoyed shooting pool and star-gazing with friends. Most of all, he loved spending time with his grand kids. Mr. Hamby was preceded in death by his wife Patricia June Michalk Hamby, parents Anthony Dixon Hamby and Dorothy Crager Hamby, daughter Searria Hamby, granddaughter Samantha Boles, three sisters, and three brothers. Words of comfort and memories of Mr. Hamby may be left at www.jeanesfs.com. To send flowers or a remembrance gift to the family of Frank James Hamby, please visit our Tribute Store. "Email Address" would like to share the life celebration of Frank James Hamby. Click on the "link" to go to share a favorite memory or leave a condolence message for the family.